Although they generally have negative opinions about US policies in the Middle East, Arabs still share values with Americans including freedom, democracy and justice, and they have positive opinions of American people and products. Most Arabs have only indirect or received knowledge about America. The principle source of that knowledge comes from the media. Arabs who have learned about America by visiting the US or by knowing American individuals have more favorable views of the US. These examples underline the importance of cultivating personal relationships with the peoples of the Middle East. The Egyptian-American Dialogue is HANDS’ answer to the misperceptions afflicting both sides of the Middle Eastern-Western divide. This program brings together Egyptians and Americans who are active in the media, academia, civil society and religious leadership to discuss areas of mutual concern and to advocate for cross-cultural understanding within their spheres of influence. The topics include politics, religion, civil society strengthening, intercultural relations, diversity and tolerance. 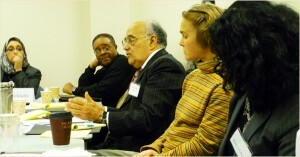 Through the dialogue conferences, lasting personal and professional ties are being built and joint projects are being created to encourage intercultural understanding between Americans and Egyptians. Host the next dialogue in your community. 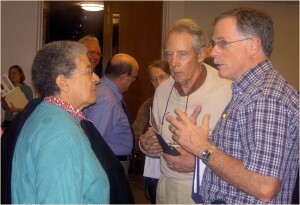 Invite one of American-Egyptian Dialogue participants to give a talk in your community. Apply to become a participant. We are looking specifically for the representatives of religious communities, civil society groups and organizations, media professionals and members of academia. If you wish to support American-Egyptian Dialogue in any way, or if you would like to become a participant, please contact us.